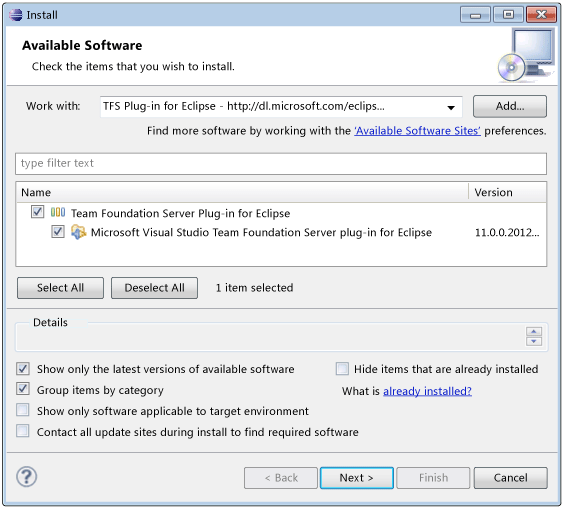 You’ll learn how to install Team Foundation Server plug-in for Eclipse in this topic. First, make sure your computer meets all of the requirements in the following lists. Then, install a supported version of Eclipse from this website: Eclipse.org home. A portion of this disk space will be freed after installation if the original download package is removed from the hard disk. We recommend that you run the latest Java runtime version available from your vendor on your development machine so that you can keep up to date with the latest security patches. But it’s not required. After making sure your computer meets all the prerequisites, you're ready to install the plug-in. On the Help menu, choose Install New Software. The Install dialog box appears. The install wizard looks slightly different for different versions of Eclipse. The Add Repository dialog box appears. 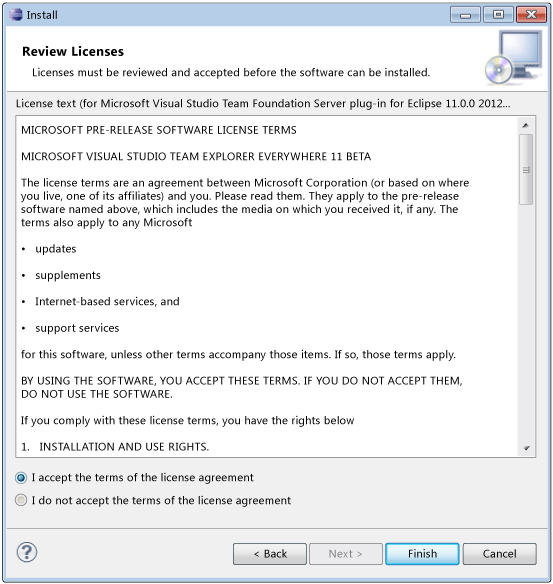 In Name, enter TFS Plugin for Eclipse. 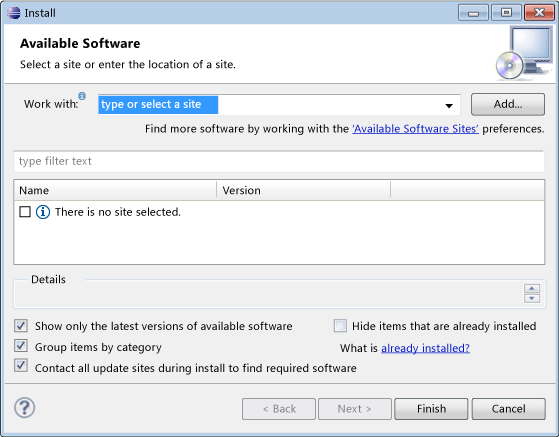 In Location, enter http://dl.microsoft.com/eclipse/tfs, and then choose OK. In the list of features in the Install dialog box, select the check box that corresponds to Team Explorer Everywhere, and then choose Next two times. Make sure to clear Contact all update sites during install to find required software if you just want to install Team Explorer Everywhere at this time. Accept the Microsoft Software License Terms, and then choose Finish.